‘Burhan Yuksekkas’ is a guitarist from Istanbul who is obsessed with deep and dark sounds of late 60’s to 80’s. He began producing electronic music with oriental influenced experimental songs and then soon discovered deeper, melodic sides of techno and house. His unusual, atmospheric sound is an outcome of his passion genres like psycedelic, classical and experimental. 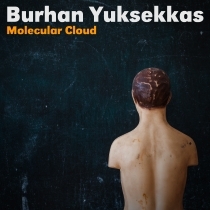 The works contained on his debut EP „Molecular Cloud“ are the first steps of a young, promising musician who is carefully searching for new sounds from all over the world but especially from the streets of Istanbul. In his early twenties he is trying to build his own, eclectic style and trusts nothing but his own ears.